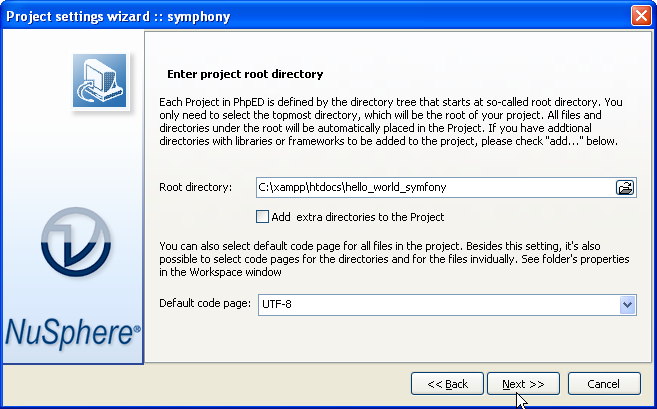 Click Ok, Save the project (we called ours "symfony") and see all of your Symfony project files displayed in PhpED's Workspace tab's tree. 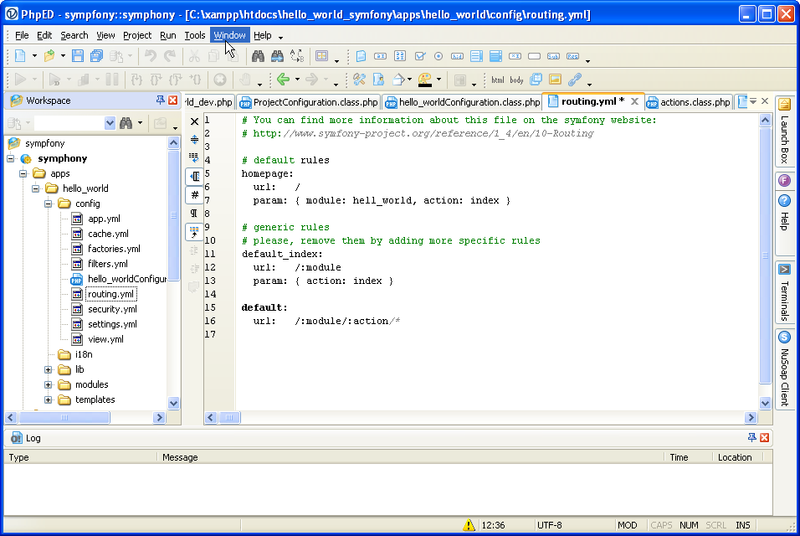 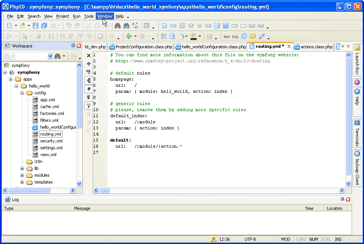 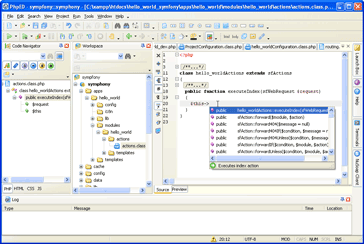 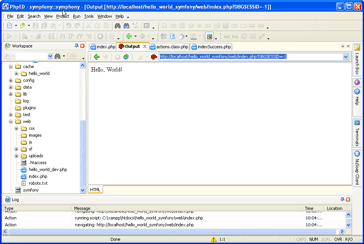 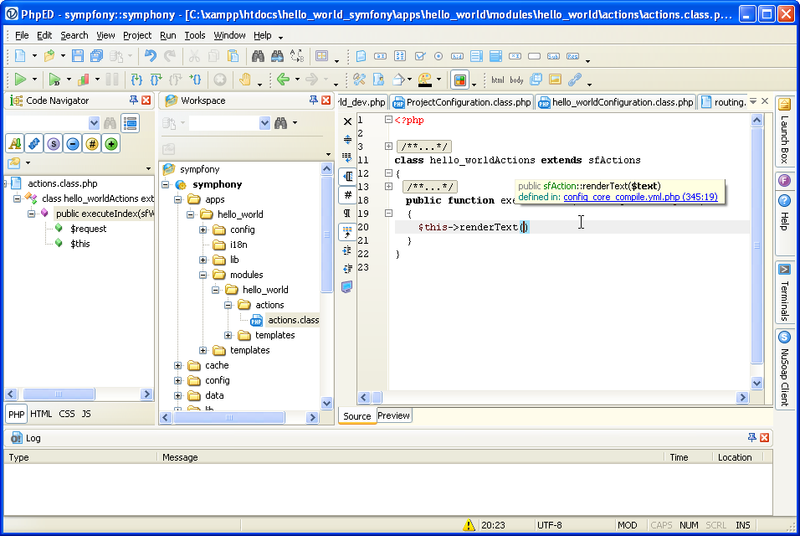 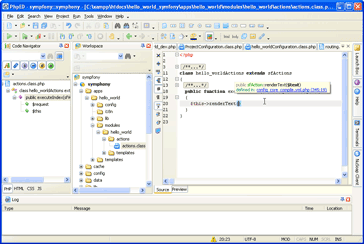 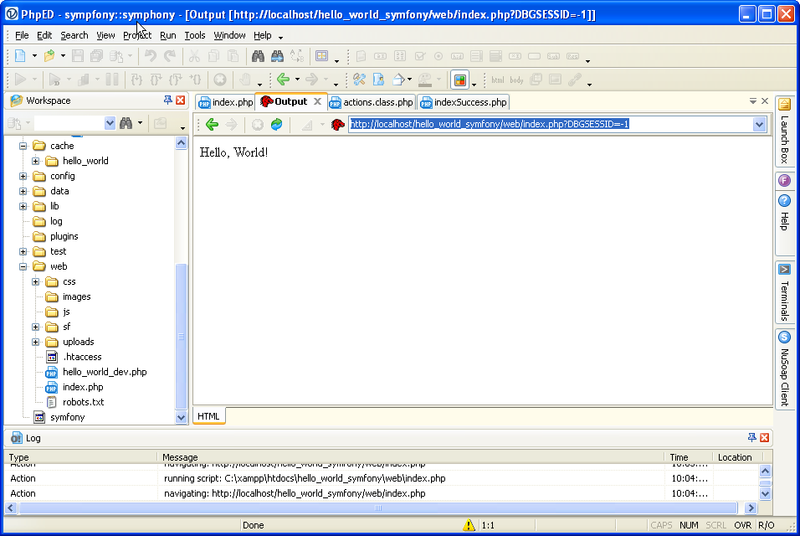 Now lets do something in the action of hello_world module. 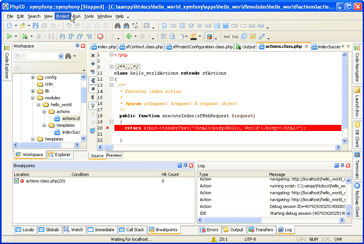 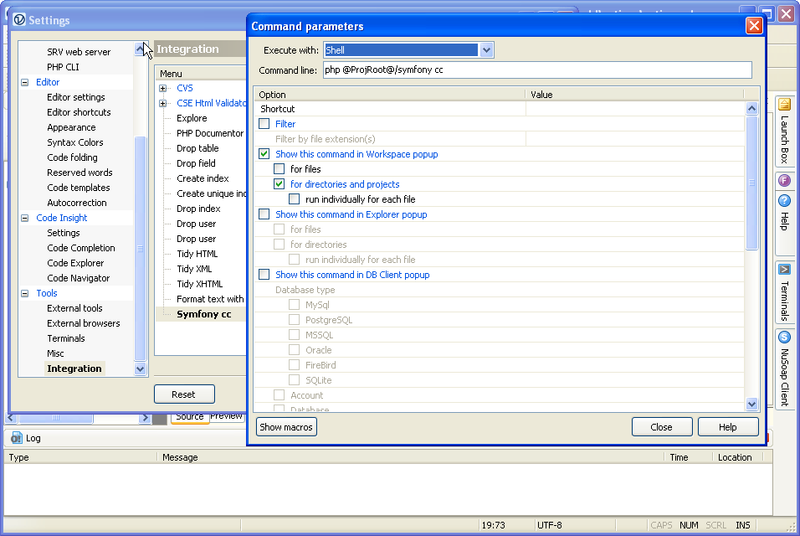 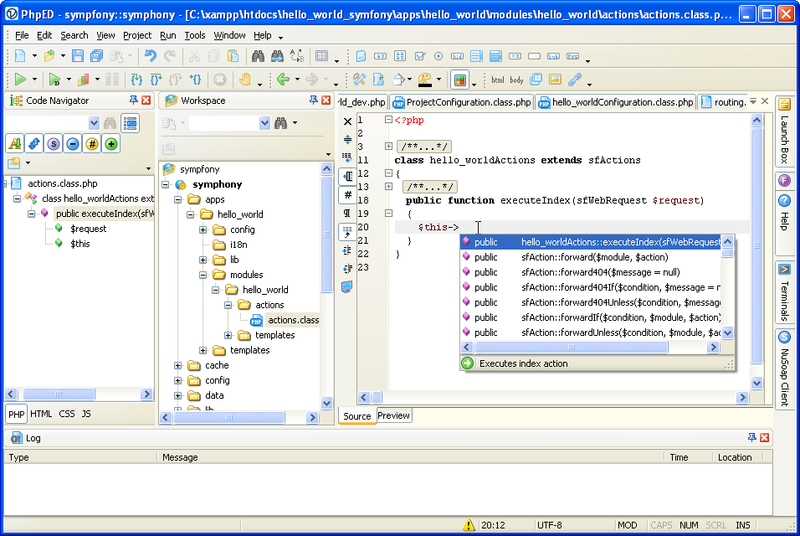 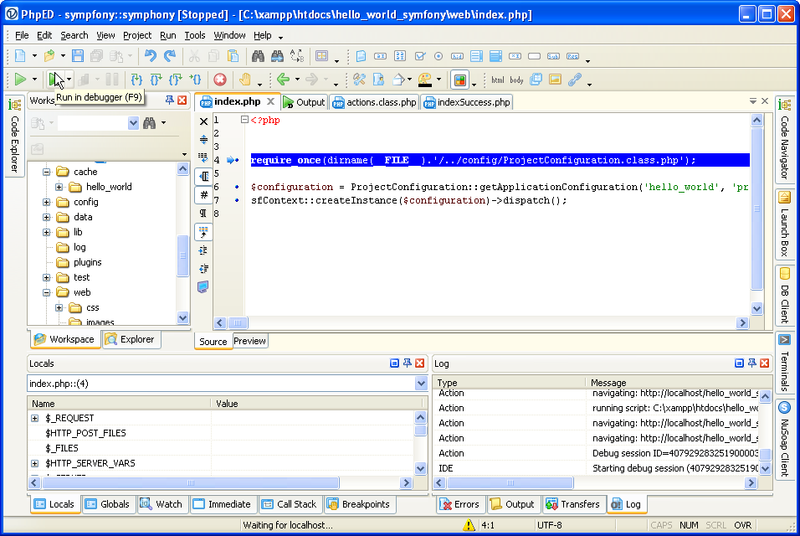 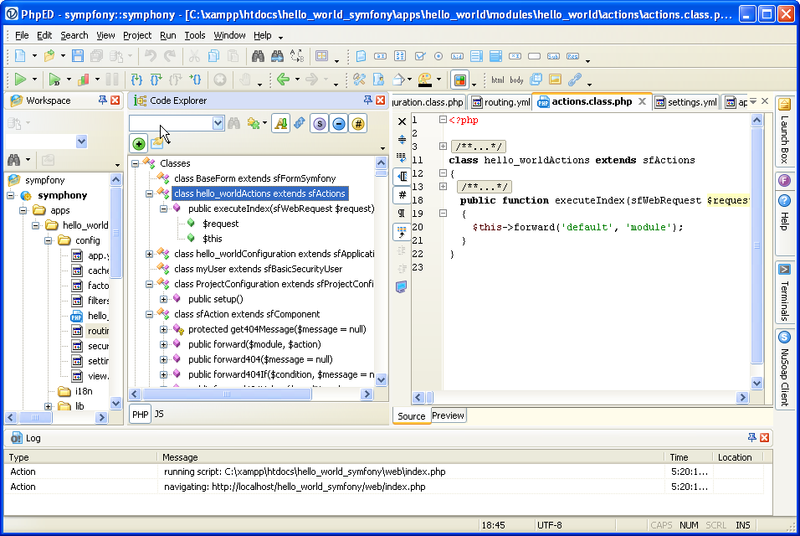 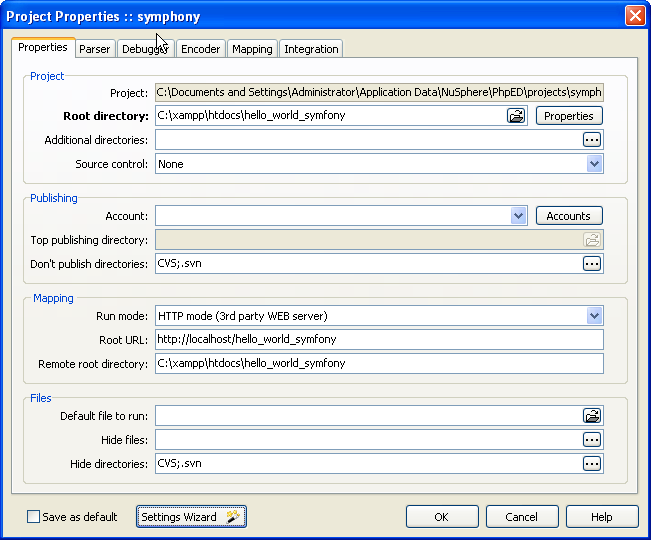 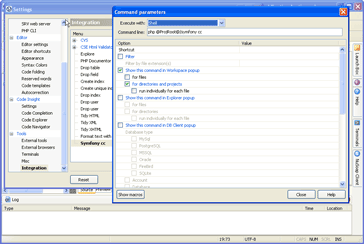 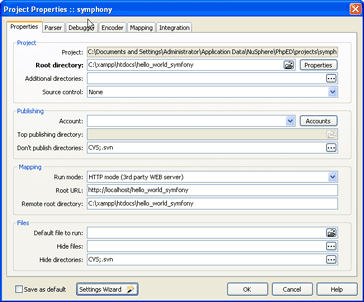 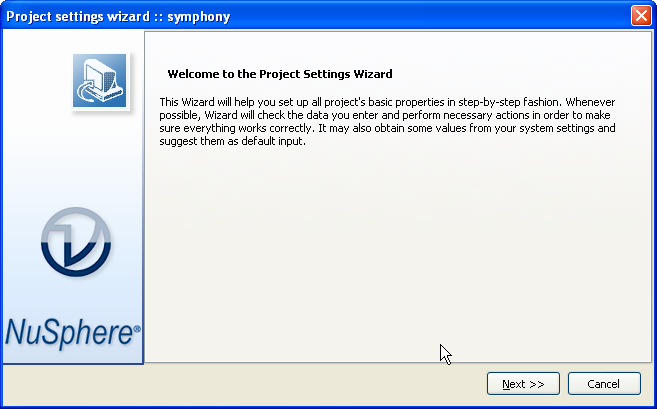 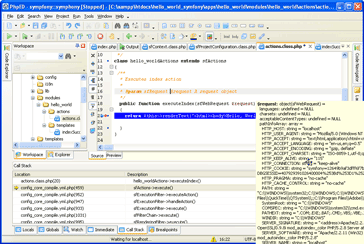 Navigate to Go symfony/apps/hello_world/modules/ hello_world/actions in workspace tab and open actions.class.php. 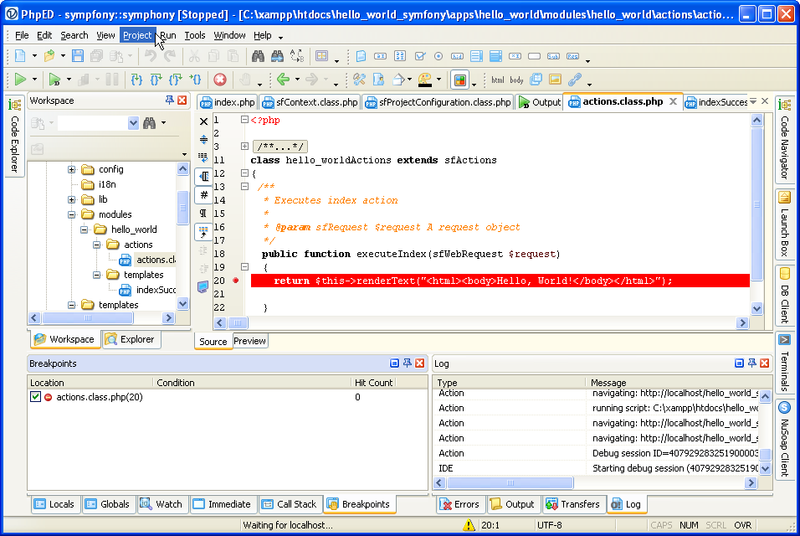 Default source just forwards the request to default module. 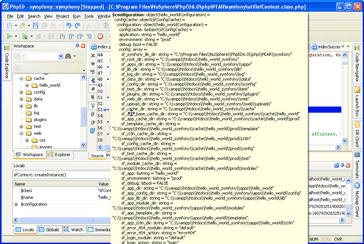 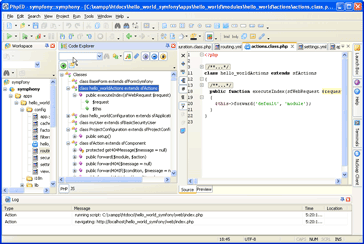 Remove existing forwarding code $this->forward('default', 'module'); inside executeIndex() method. 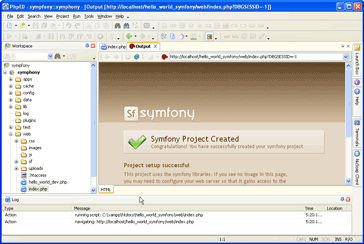 You can also always right mouse click on a function or method in the editor and select Find Declaration menu item, which works perfectly for Symfony objects and your own code. 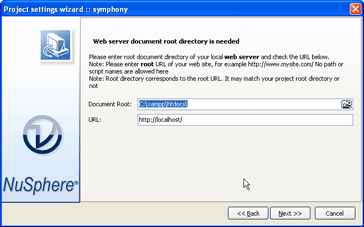 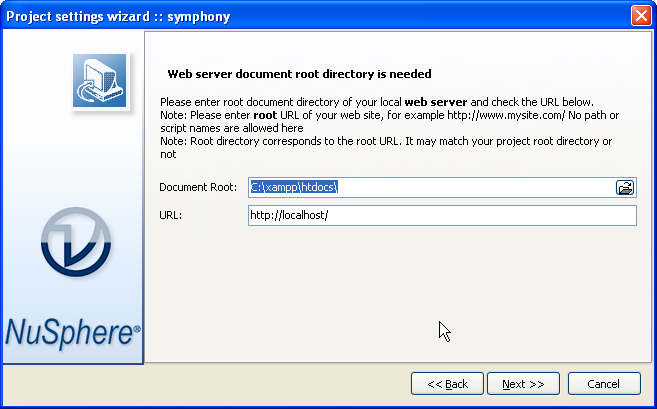 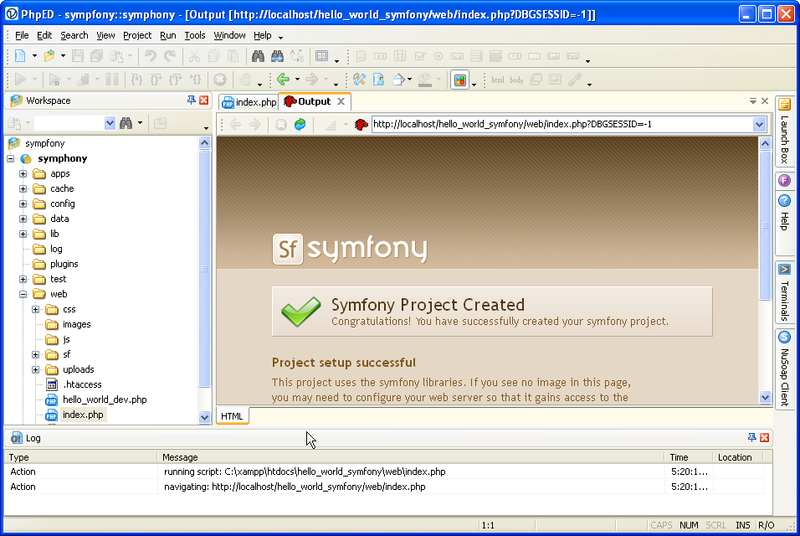 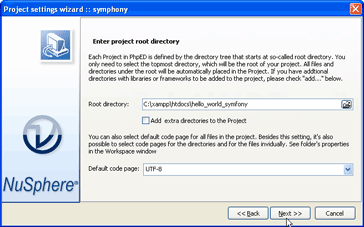 Type in the text: "
Enter "php @ProjRoot@/symfony cc" into Command Line, select "shell" in Execute with. 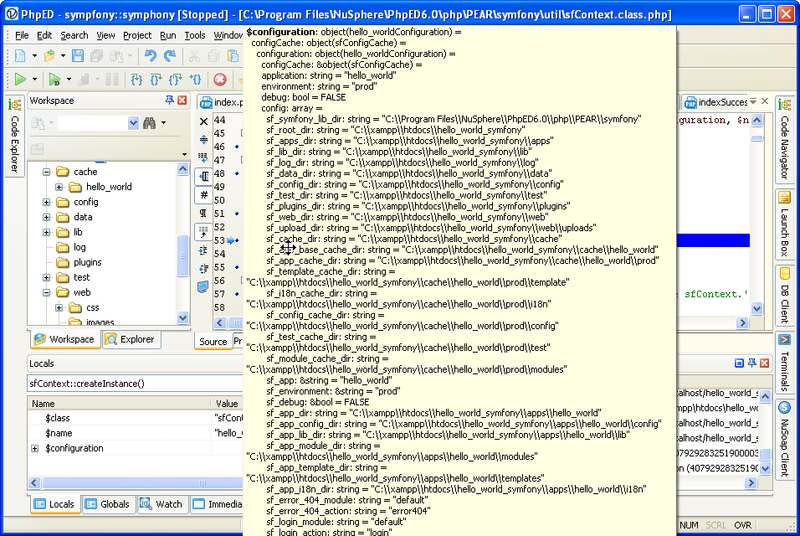 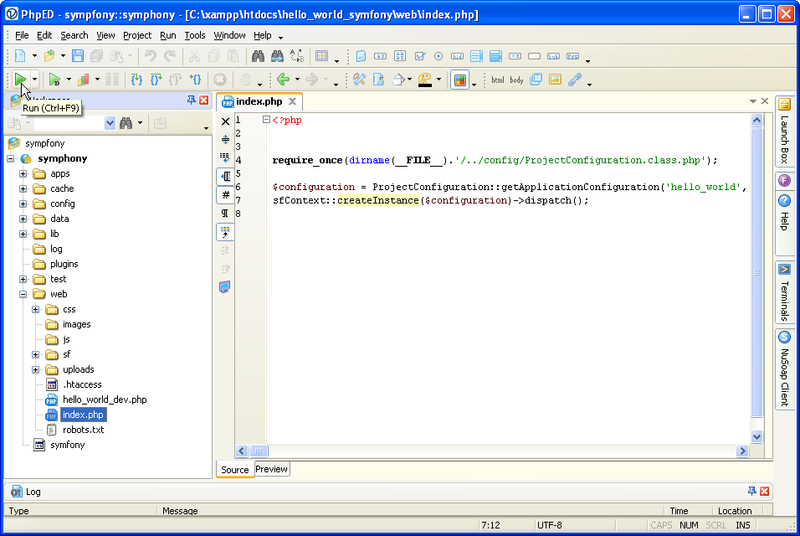 The value of a good PHP Editor/IDE is hard to over estimate. 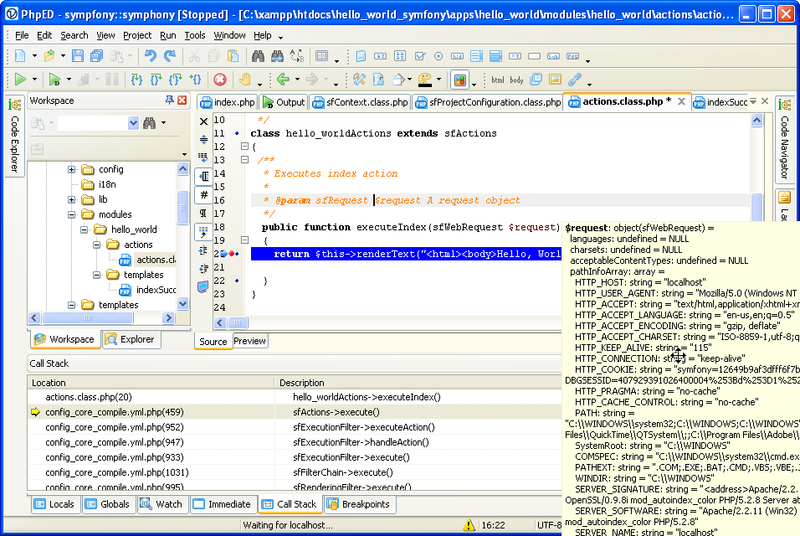 NuSphere's PhpED handled Symfony seamlessly. 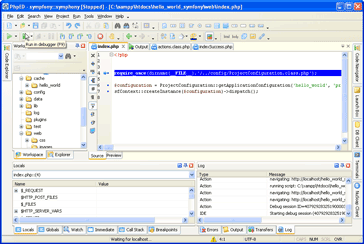 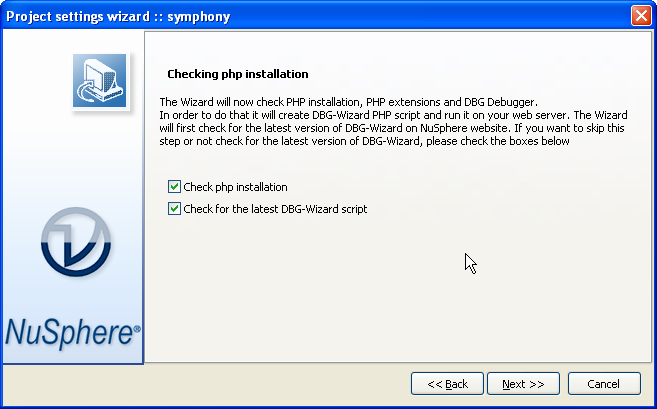 We found it especially useful for learning the frameworks, where stepping through the code with PHP debugger makes things order of magnitude simpler. 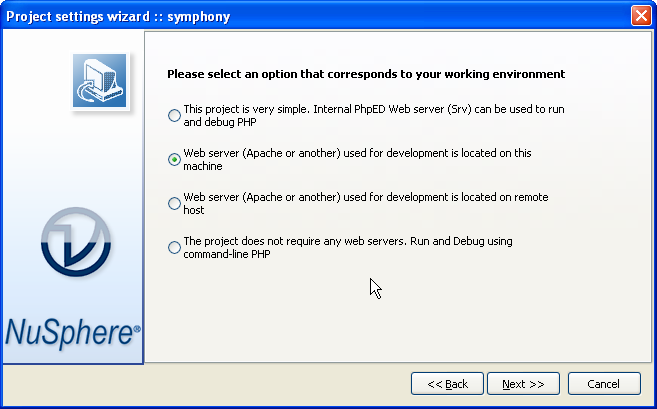 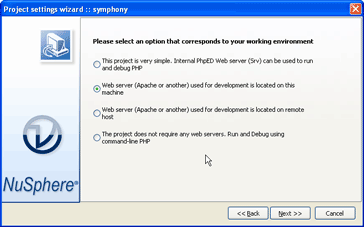 We haven't tried Symfony with Zend Studio or Komodo yet, if you would like to submit your review to us, please don't hesitate to do so.